Chain link is a type of fencing that comes in a roll. It is made of aluminum and is attached to posts that are spread out equally. It is available in 4-, 5- or 6-foot heights. 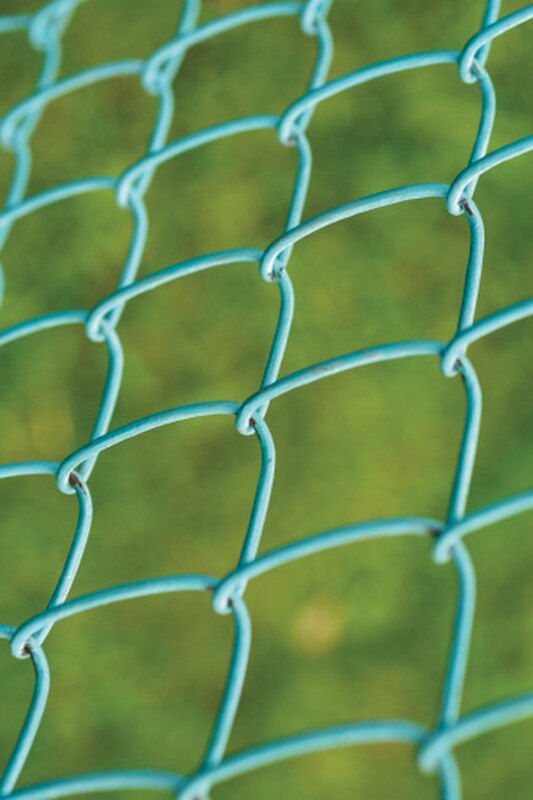 Most types of chain-link fence are installed directly to aluminum posts. These posts are dug into the ground. The chain link goes over them and is attached to the posts. Chain link can also be installed with T-posts. These posts are typically used to install smaller chicken wire and garden fencing, but can be used to install chain link. Chain link fencing can be installed with T-posts. Mark the corners of where you fence will be installed with wooden stakes. Hammer the stakes into the ground at each corner location and tie a piece of string to the stakes. Run the string around the entire perimeter of the fence. Set the first 6-foot T-post at any corner and hammer it 2 feet into the ground with a T-post driver. Set the T-post driver over the T-post and bring it down firmly on top. Repeat the process until the post is 2 feet in the ground. Move down 6 feet and repeat the process for the next T-post. Continue in the same manner all the way around the perimeter, installing a T-post every 6 feet. Unroll the chain link fence and place the end of the roll at any corner T-post. Attach the end of the chain link to the wire with a T-post clip. Slide the clip through the chain link and around the top of the T-post. Attach the clip securely to the chain link and repeat the process at the bottom of the fence. Roll out the chain link until you reach the next T-post and attach it just like the first post was installed. Continue down the first side and wrap the chain link around the last post of the first side. Move around the entire perimeter in the same manner and continue until you reach the beginning. Cut off the excess chain link at the end with a pair of tin snips.